The library staff had a refresher demo on using one of our online resources called ReferenceUSA. ReferenceUSA has information on over 14 million businesses! As I watched the demo, I kept thinking what a great resource this is for job seekers who are going on an interview. For instance, if the company is publicly traded, you can find out all sorts of financial information and company history. If you can manage to work some of your research into the conversation, you will leave the interviewer thinking that you have a genuine interest in the company, and that you have come prepared. There will be a listing of the names of the person/persons in charge, AND, their gender (which is especially helpful if the person you are being interviewed by has one of those either-way names such as Kerry or Sandy!). There are also clickable links to the company's website. For nonpublicly traded companies, the simple fact that you can find a credit rating score may help you decide if you want to pursue an employment offer! Clicking on driving directions will prevent you from getting lost on your way to the interview. And, this is fun--you could do a radius search to find out what other businesses are in the area (just in case you were thinking of stopping at some local watering hole after your nerve-racking interview). There is a LOT of information available. Come to the library to pick up your list of online resource passwords to get started. Good luck with your job hunting! It seems that yesterday Alan Greenspan announced that we are entering a recession. The stock market in China showed a steep decline earlier today. The NY Stock Exchange isn't looking too good, either. I guess it's time to hit the books and read up on the stock market (although kitties aren't generally well off enough to be investors, it is good to have a general idea of the stock market). With my limited knowledge, I think I'll start with a children's book, Investing Your Money by Fred Barbash [J 332.6 BAR]. If it's explained easily enough, I'm sure I'll be able to understand it! Just a minute ago, I heard a financial analyst on the radio say, "There's no need to panic." Okay, so what's the first thing you do when someone tells you not to panic? Did your favorites win last night? I haven't seen The Departed [DVD DEP] yet, but it's in my bookbag right now. I'll let you know if I think it was worthy of the Best Picture award! Not everything is out on DVD yet, but these contenders and winners are available at the library: Little Miss Sunshine [DVD LIT], Babel [DVD BAB], An Inconvenient Truth [DVD INC], Dreamgirls [DVD DRE], The Devil Wears Prada [DVD DEV], Water [DVD WAT], Cars [J DVD CAR]. Now for the rant...why in heaven's name doesn't anyone follow the rules about wearing the right colors for your skin tones? Yes, to some, Nicole Kidman may have looked hot in her red dress, but think how much better she would have looked if she had worn a dress in a suitable color! Okay, so I'll be the first to admit that our books on color, Color Me Beautiful by Carole Jackson [646 JAC], and Alive with Color by Leatrice Eiseman [646 EIS] are sadly dated, but the basic concepts remain the same. I'm going to make a concerted effort to order more up-to-date materials. I only hope designers for the stars put their clients first, and next year, dress them in colors that make them look good! Have you ever seen the film Das Boot [DVD DAS]? It is the story of German submariners during World War II. I remember being profoundly affected by viewing it; it was probably the first time I had looked at war from the other side. The author of the book that the movie was based on, Lothar-Guenther Buchheim, has died at the age of 89. The Library's book discussion group read The Keeper's Son by Homer Hickam [F HIC] last year. It too, dealt, in part, with looking at WW II from the other side. I highly recommend it! Another book, War Beneath the Sea: Submarine Conflict During World War II by Peter Padfield [940.54 PAD] gives the reader a look at the total picture! A great discovery--kitties can be musically talented! We do have a talent for vocalization, but who knew we could play the piano? If you prefer your piano music played by a professional, we just received Harry Connick, Jr.'s new CD, Oh My, Nola [CD JAZZ CON], which is a musical tribute to Connick's home town of New Orleans. And speaking of jazz and piano--listen to Jelly Roll Morton's Greatest Hits [CD JAZZ MOR] for a historical perspective. This CD contains recordings made between 1926 and 1929. Just a quick happy birthday to His Royal Cheesiness! Yesterday, in looking at the site on ugly ties, I came across instructions for cleaning ties. If you have an oldie but goodie, you might want to make it presentable before entering it in an ugly tie contest! If you're in an early spring-cleaning mood, these books are available to make your job a little easier! When you're done with your house, will you come do mine? Pretty please? 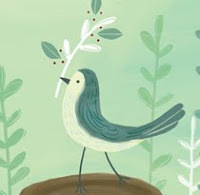 Tomorrow, the library will be visited by author/illustrator, Maryann Cocca-Leffler. Ms. Cocca-Leffler is the author of Mr. Tanen's Ties [JP COC] and several other books about an elementary school principal and his tie collection. In conjunction with the visit, we are having an ugly tie contest. We ask that you bring in your ugliest tie and add to our display. The winner will be awarded with--what else--a tie! And may I recommend a look at the K.N.O.T. website. K.N.O.T. stands for Kollectors of Nasty Old Ties! The photos are great. I spent some time, once, doing research about Abraham Lincoln for a project. I thought for sure that I would find that the man was more myth than real. I was mistaken. He was the genuine article. One of the things that appealed to me was Lincoln's sense of humor. He told many stories, and more often than not, his stories poked fun at himself. When accused by a rival of being "two-faced," Lincoln responded, "If I were two-faced, would I be wearing this one?" I'm sure Lincoln would have been very surprised to know that his craggy visage today appears in everyone's pocket! 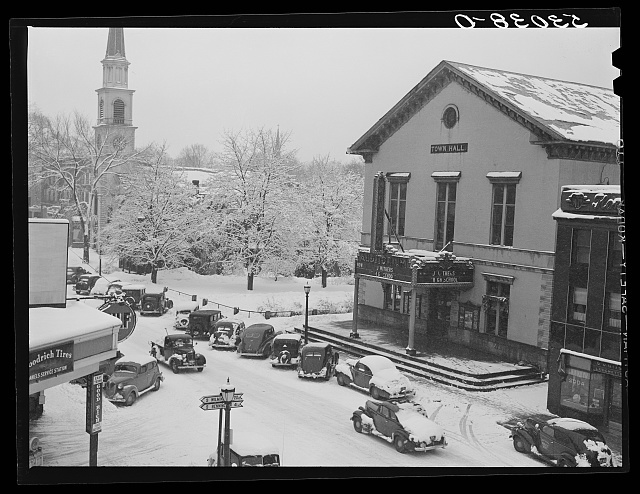 One rather eccentric New Englander comes to mind when I think about snowy weather--W. A. Bentley, affectionately known as "Snowflake Bentley." The library has Bentley's book of snowflake photos, Snow Crystals [551.57]. It is not to be missed, nor is the website, www.snowcrystals.com, which has several galleries of snow crystal photos in color. The next time you have a snow day, and the kids are stuck indoors, try making paper snowflakes. It's a fun craft idea that requires a minimum of materials. I hope you've been able to visit the library over the past month to see our display of fabulous pink flamingos! We have Mary Ahlgren at the Hall Memorial Library in Northfield to thank for this cheerful display. The Hall M. L. has been collecting flamingos for years. In December 2002, we displayed some, but the collection has grown by leaps and bounds, so we've asked to borrow it again. While some of the birds have been vacationing here in Windham, more have arrived in Northfield! Mary emailed me to say, "We just received a 6 footer in a package from Florida." A six foot flamingo! My Funny Valentine is a perfect song for today. I've become addicted to listening to the old standard love songs--songs from the 30s, 40s, and early 50s. There is nothing like this music to evoke romance. Many of the performers of my generation are also looking back at these songs. I guess aging rockers like Rod Stewart are seeking the romance they may have missed earlier in their careers. Stewart has come out with four CDs in his Great American Songbook series [CD MALE VOCALIST STE]. In the love song department, something like "The Nearness of You" is heads and tales above a song like "Hot Legs!" Some of the younger generation are singing the standards and doing a damn fine job of it. Norah Jones' version of "The Nearness of You" [CD JAZZ JON] puts Rod Stewart's to shame. Michael Buble [CD MALE VOCALIST BUB] is another name to watch (although it's preferable to listen to him). Have you figured it out yet? We at the library are obsessed with chocolate. Dark chocolate. We have decided to give ourselves a little Valentine's treat--a day of dark chocolate delights. We are each contributing one dark chocolate treat (hopefully all different) to be sampled by all. It may be a little fattening, but it is good for you if taken in moderation! Yes, dark chocolate has medicinal value! NH Magazine for February has the results of its Chocolate Challenge 2007. Take a look at the pictures and I'll guarantee your mouth will start watering! The winner nearest to us in Windham is Michael Timothys Bistro and Jazz Bar in Nashua. Maybe you can convince your Valentine to take you there? This past weekend I went to the movies to see Pan's Labyrinth by director Guillermo Del Toro. I cannot tell you about this film other than to say it was wonderful, but brutal (I'm still mentally/emotionally processing it). It is NOT a film for children despite its child main character and the element of fantasy. Del Toro spoke with NPR's Fresh Air host, Terry Gross, and provides a window into his creative processes. Take the time to listen, it's worth it. Fairy Tale As Myth/Myth As Fairy Tale by Jack Zipes [398.21 ZIP]. The Oxford Companion to Fairy Tales [398.21 OXF]. The Witch Must Die: How Fairy Tales Shape Our Lives by Sheldon Cashdan [398 CAS]. I heard on the radio that the last World War I veteran in Massachusetts has died. He was one week away from his 111th birthday! And yet, seven WW I vets still remain on the Veterans Administration rolls. 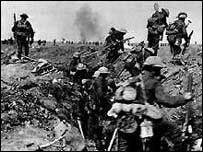 Think about it--these men would have been born, on or before 1900! WOW! When I think about the changes in my life time, I'm amazed, but to think about what has happened over the last 111 years--it boggles my mind! The last Massachusetts WW I vet, Antonio Pierro, was interviewed a year ago, and, it should be noted that at 110, he still endulged in chocolate! Can that be the secret to his longevity? For more about Mr. Pierro, see the November 2006 feature from Esquire. I'm sure you've heard one or more of the many answers to that question! Most of the answers you don't repeat in front of children! One involves the anatomy of a monkey statuette, and it's this one that I found has a long, and interesting, history. Haven't made up your mind? Read about the whole gamut of winter sports in Winter Adventure: A Complete Guide to Winter Sports by Peter Stark [796.9 STA]. And of course, if you're an artist, there's ice sculpture. I have become aware that yoga is considered, by some, to be a religious practice, and that there is a bit of controversary about teaching yoga in schools and other public places. We kitties will stretch and bend for the love of it. Period. We relax because it is healthful. And the only thing we will chant is, "chocolate, chocolate, chocolate." If you need a little chocolate, ask Barbara to share. Now perhaps you've led a rather interesting life and would like to preserve your story in the form of a memoir. Take a look at Kirk Polking's book, Writing Family Histories and Memoir [929 POL]. If you start writing now, I may get to read your life story, and blog about it, before I retire! Don't you think it's time to start thinking about your sweetie and what you're going to get him/her for Valentine's Day? I would suggest a visit to the Archie McPhee website. Once there, click on "Valentines." I'm sure your sweetie would never expect to receive an anatomically correct, strawberry-flavored gummy heart or a Secret Sweethearts pen that allows you to write messages that can only be read under ultraviolet light! MAKE this a Valentine's Day to remember! 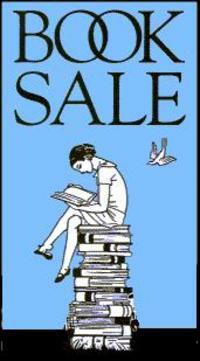 Our Friends of the Library of Windham group (FLOW) is holding a winter booksale this afternoon 4:00-7:00 (for members), and tomorrow, 11:00-2:00 (general public). You don't want to miss this sale! We are fortunate to have very generous townspeople who donate books that either go into the Library's collection or become a part of the FLOW booksale. This sale is a new venture by FLOW, usually the bookfair is held in conjunction with the Strawberry Festival the first Saturday of June every year. With so many books coming in, FLOW has decided to not make you wait. Let's help FLOW make this a success, and if you miss the winter sale, June is just around the corner! NH Poet Laureate, Patricia Fargnoli, has planned a statewide program to introduce poets to children in NH's libraries. April, is National Poetry Month, and Pat's program will involve working poets who will be visiting NH libraries to conduct writing workshops with children. 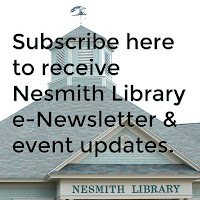 The Nesmith Library has booked a poet for Saturday, April 14, at 10:00 am. Look for details to follow as we get closer to the date!